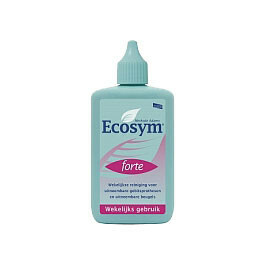 Ecosym Forte effectively removes plaque from the surface of the mouthpiece. A build up of plaque is a common cause of bacterial contamination. Citric acid releases unhealthy coatings, Eucalyptus oil imparts a pleasant, fresh feeling and sea salt stabilises and strengthens the action of the citric acid. 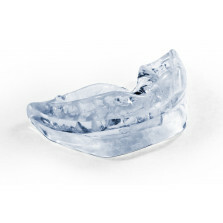 Your SnorBan anti-snoring mouthpiece stays as good as new with this higly effective and yet very gentle, natural care. This product should be used in conjunction with Ecosym Denture Box when used to clean a SnorBan appliance. 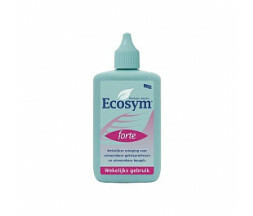 Pour the Ecosym Forte cleaning fluid into the Ecosym Denture Box and add lukewarm water. Leave your SnorBan in the cleaning fluid for 6-8 hours. Remove your SnorBan from the cleaning fluid and rinse with water. Before using Ecosym I had a deteriorating, dull and slightly smelly mouthpiece. Using ecosym, the device looks like new and smells very fresh and clean. It occurred to me that they were less abrasive than Denturecream that I had previously used. They leave your mouth fresh and your teeth feeling silky smooth. My purchases arrived promptly and well packed. Gives a thorough cleansing, getting into the recesses of the SnorBan where brushing cannot reach, no matter how vigorous. Very effective at maintaining freshness at a reasonable price.